Senior Producer Pete Stilwell mentioned to the Back2Warcraft YouTube channel that they were "hoping to have [the beta] start at some point early next year." He mentioned that though they don't have an exact release date at this time, they are the shooter for sooner rather than later. For those interested in participating in the beta, you can check out the Blizzard site right here on how to become eligible. 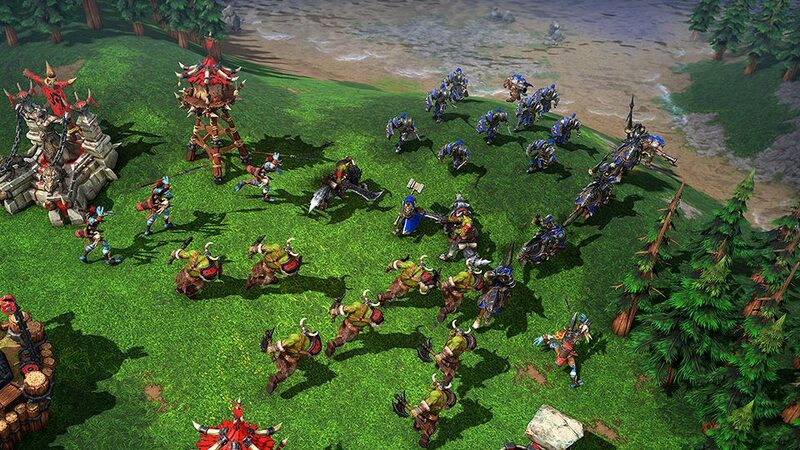 As far as the game itself goes, this is much more than a simple remaster, this is an opportunity to make Warcraft III even better. We ourselves spoke with the team during the BlizzCon festivities to talk about how the upcoming remaster will bridge the gap between lore holes. When discussing what differences fans can expect from the upcoming game, Robert Bridenbecker told us that this was the perfect chance to "smooth it out" and bridge the gaps between World of Warcraft and Warcraft III. Both he and Brian Sousa mentioned that they will add more about Jaina, more about Sylvannas, and more about these vital characters that we've come to know as part of the World of Warcraft history - a history shaped by the popular real-time strategy game that made its grand debut back in 2002. Warcraft III: Reforged offers Blizzard the perfect chance to bring the two lore-heavy experiences together under a common lore umbrella. No more inconsistencies, stories half-told, or plot holes as cold as Sylvannas' heart. Players got a chance to play the Warcraft III: Reforged demo during the Blizzard celebration, ourselves included, and we noticed quite a few World of Warcraft references that weren't previously there (for obvious reasons). World of Warcraft: Wrath of the Lich King bosses were among the most noticed inclusions talked about in the gaming community, making it almost a game within a game to see what other "call forwards" will be added alongside the remaster. But just because they are working towards bridging the gaps a bit doesn't mean this won't feel like the Warcraft III we all fell in love with. Bridenbecker added, "It's about community preservation. This is the original community that was a part of the game that was iconic, it's about community preservation." Since Warcraft III really set up a lot of the lore that we came to know and enjoy in World of Warcraft, there is a sense of "OG" likeness within the Warcraft crowd. This remaster offers a rejuvenation to an incredibly loyal community, one that has evolved through the years alongside Blizzard as a company. It's clear that the team is passionate and that this remaster is in good hands!